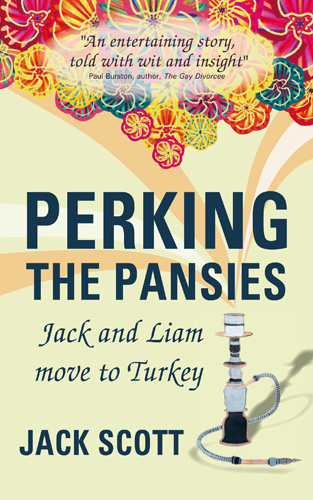 I’ve got a limited number of signed copies of Perking the Pansies available for free shipping to Turkey. Amazon delivery charges are simply outrageous so this represents a bit of a bargain. Also, if you live in Blighty, a signed copy to any UK address comes with free delivery. So roll up, roll up to get your mitts on the best expat book to come out of Asia Minor since Alexander the Great’s Postcards from the Ege. You never know. It might be worth something one day. Buy one here! me too…it would be a delight! We get stuff sent to Miami and then pay a courier to ship it here from Amazon, but then – we are only 1 1/2 hours from the US so it is not costly… I really loved Postcards from the Edge. Your grandchildren will be grateful. You’ll get your reward in the next life! I’ve settled you between Orhan Pamuk and Philippa Grregory, hoping that the fame and fortune will rub off on the Pansies! Hi Jack! Just to let you know I’ve signed up for your blog via email and look forward to some happy reading! Cheers! Hi Claudia. Welcome to Pansyland! Just wanted to tell you that I really enjoyed your book–it was funny, touching, sad, and informative, all at the same time. Sounds like you and Liam found home. Thank you so much. I really appreciate it. Could I trouble you for an Amazon and/or Goodreads review? Every little helps. Cheers! I love your blog, tahitan goddess. Brilliant.